New Zealanders love outdoing Australians and Air New Zealand is crowing after trumping sometimes rival Qantas to become Australia’s no. 1 company for the third consecutive year. The two companies held the first and second spots on the Reputation Institute’s 2019 Australian Corporate Reputation Index as Qantas moved up to second from the third spot it held in the 2018 index. They were followed by JB H-Fi, Toyota, Mazda Australia, Aldi Australia, Samsung, Woolworths, Hyundai Australia and Nestle Australia. Virgin Australia, which came fourth in 2018, dropped out of the top 10 as did Australian Super and Devondale. READ: American cancels 737 MAX services through to mid-August. Ironically, Air New Zealand came in second in its home market after being beaten to the top honor by Toyota. The win will be more ammunition for Air New Zealand boss Christopher Luxon who rarely wastes an opportunity to include a humorous mention of the trans-Tasman rivalry and the dominance of the All Blacks rugby team in his Australian speeches. Again referencing the rugby rivalry, Luxon said there was “absolutely no denying it was harder to win an away game”. “For the past three years, Australians have chosen an airline with New Zealand in its name as your most reputable company and we continue to outrank significantly larger Australians businesses and household names,’’ he said as he acknowledged the collective efforts of the airline’s staff. “Reputational leadership and customer focus go hand-in-hand and it’s only by maintaining an unwavering focus on our customers, investing in our aircraft, our products and our lounges and bringing that genuine Kiwi warmth to our service that we maintain our number one position. Air New Zealand has now opened reservations to its new non-stop service between Auckland and Seoul starting November 23. The carrier will operate three services per week to Seoul’s Incheon International Airport, increasing to five times a week during the peak holiday period from late December to mid-February. Seoul is AirNZ’s 32nd international destination and will be flown by the airline’s Boeing 787-9 Dreamliners. 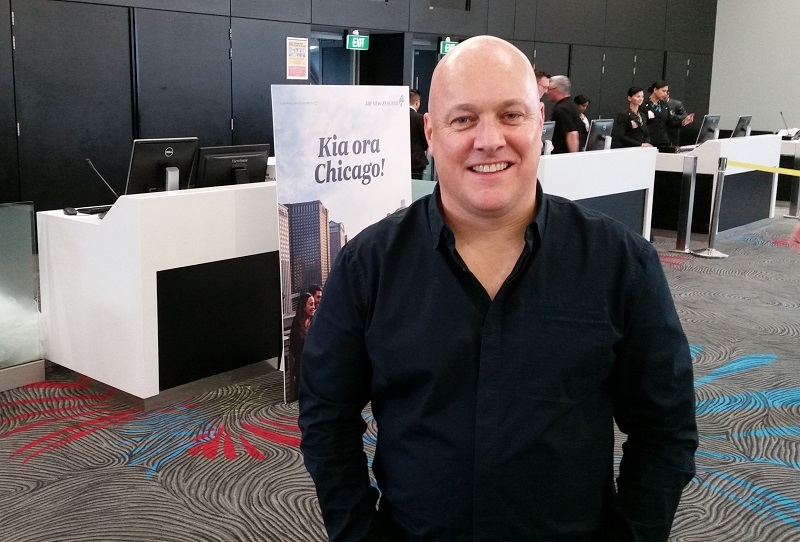 Air New Zealand chief revenue officer Cam Wallace said there had been a great response to the announcement.